The first year of a baby’s life is full of milestones – first smile, sleeping through the night, rolling, solids & trying different foods, teeth, crawling, words, standing, walking etc. Game changers 👊 such as their first bath together in the big bath, sitting in the trolley together, and sleeping in their own cot. 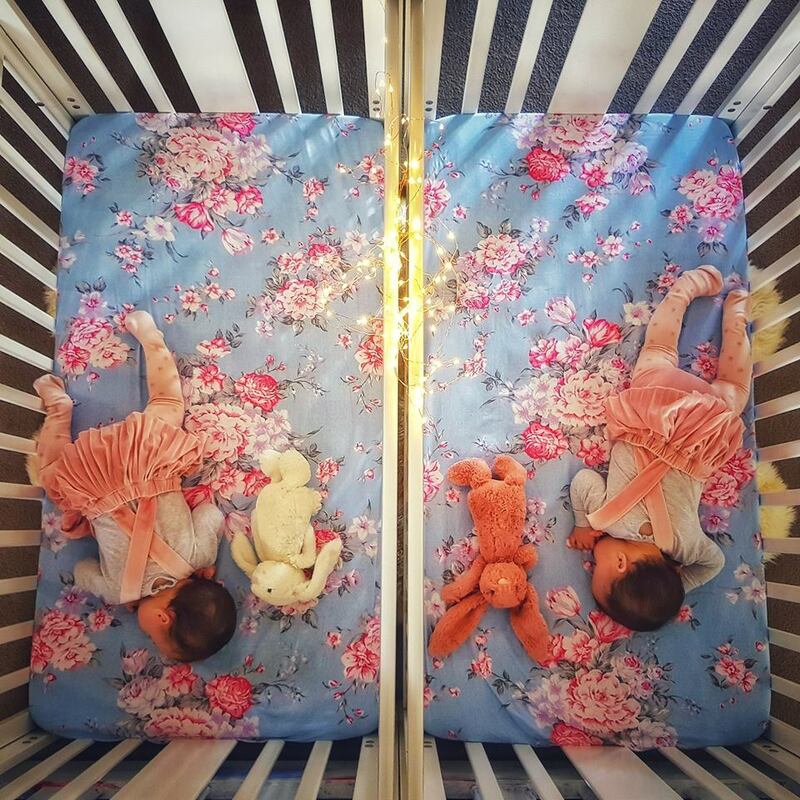 These 9 month old sleeping beauties have been sharing a cot up until the weekend where they finally moved into their own cots! 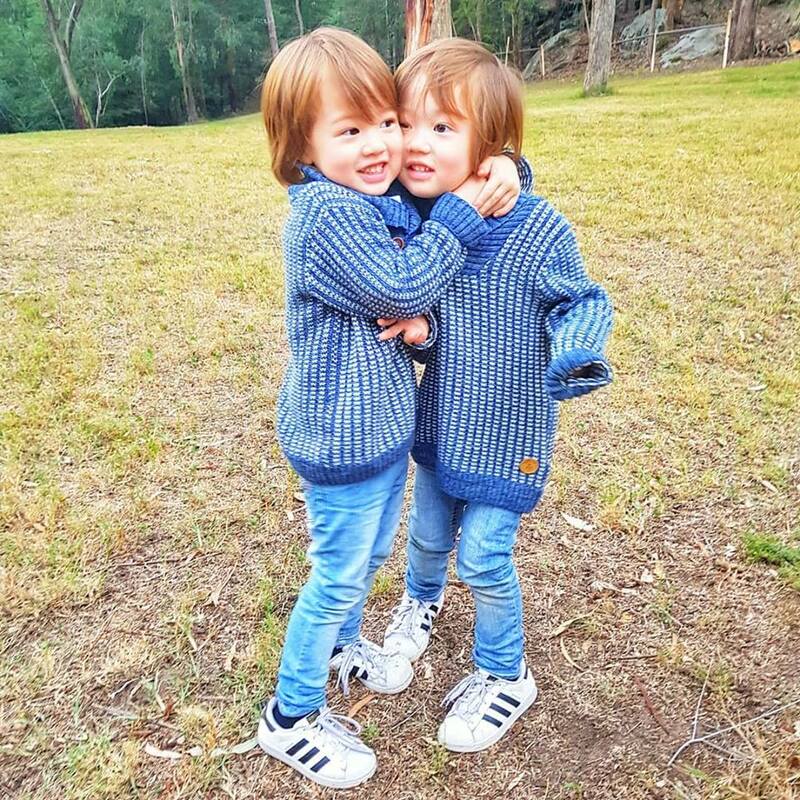 The boys moved into separate cots at 6 months as they were big babies and started their wrestling early 🤼‍♂️. The girls were happy sharing cots with each other & enjoyed each others warmth until last week where one would climb on top of the other in the middle of the night trying to wake up them up to play! What other ‘twin milestones’ can you think of?? I asked the boys these questions separately without the other being able to hear. They may have identical DNA but they are totally different and gave completely different answers. It was however interesting that their favourite animal was also the thing that they are scared of! Harley responded straight away and was very confident of his answers. Ethan was pretty disinterested or unsure of his answers, and I had to ask him some questions a few times before I got a response. •How old is mummy? I don’t know….1! •What do you want to be when you grow up? Batman! •What’s your favorite animal? Lizard, no crocodile and alligator! •What makes you happy? New scooter!! •Where is your favorite place to go? Rouse Hill!!! Got so many toys! •What do you want to be when you grow up? Ironman!!! Fly super fast and look for bad guys!